The definition of a sports car varies depending on who you talk to. Maybe you define it as a two-door coupe with over 300 HP. If that’s your definition, you’ll get anything from a Nissan 370z up through the Porsche 911 and even the McLaren Sports Series twins, the 540C and 570S. Maybe you like to take a statistical approach and say anything with a 0-60 time under 5 seconds. For that example you’d get anything from my 2014 Subaru WRX hatchback all the up to things like a Bentley Bentayga which does it in a scarcely believable 3.5 seconds. But that’s an SUV, how can that be a sports car? Like I said, it depends on the person you’re talking to. For me, there’s no denying that the Ford Mustang is a sports car. Yes it’s a muscle car, but most muscle cars are sports cars these days. Hell, you have Camaros running around the ‘Ring faster than supercars of yesteryear like the Pagani Zonda and the Koenigsegg CCX. And the Mustang fits the typical description: two-doors, rear wheel drive (yes sports cars have other drivetrains too, shut up), sleek looks, and a variant with 400+ horsepower. 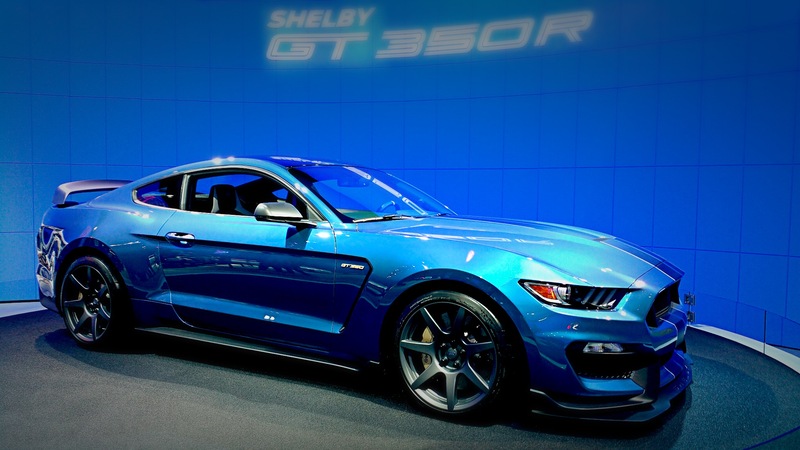 The GT350 has 536 horsepower so even more power to the Mustang to be called a sports car. With the new independent rear suspension, now the Mustang isn’t just an engine with a filing cabinet between the back two wheels. Because of this and all the styling updates Ford has made, the Mustang can now also be classified as the best selling sports car in the world. According to Ford’s own IHS Market data, the Mustang sold 45,000 units outside of the US last year. That’s up 101% from the year prior mainly due to the Mustang finally going global. Germany and China were responsible for the largest percentage of growth for the model. The Mustang is now sold in 140 countries. Whether you think it’s a sports car or not, it can’t be denied that the growth is impressive for the old pony. Next article Which Car Manufacturers Are On The Right Track?